The world’s largest solar thermal energy facility, the Ivanpah Solar Power Facility, opened last Thursday in California’s Mojave Desert. Unfortunately, this is bad news for neighboring indigenous people, the desert tortoise, and local birds. It is an example of solar done wrong. 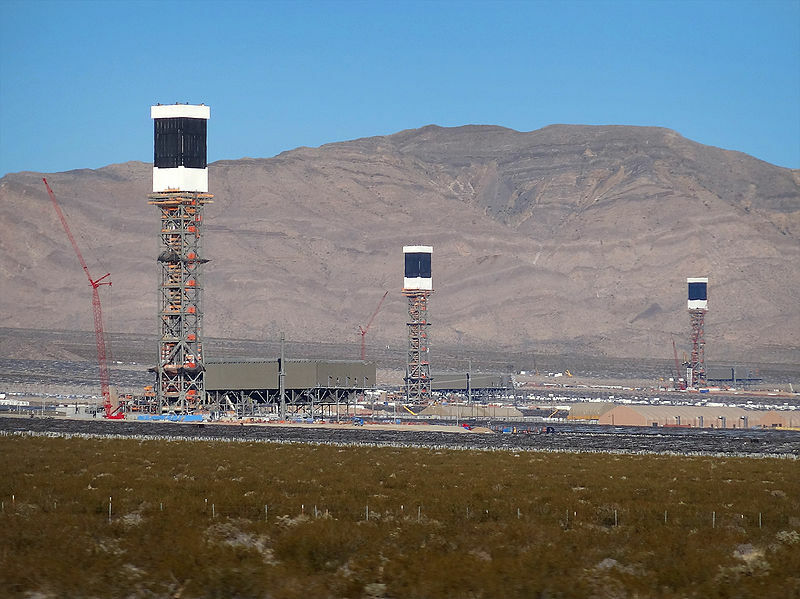 Ivanpah use mirrors to reflect sunlight, in order to heat and boil water. This produces steam, which spins turbines to produce electricity. When done at a small scale, it can be a clean and sustainable process. Photovoltaic solar panels, which convert sunlight directly into electricity, are even more democratic. They are easy to decentralize and put on rooftops. In fact, Ivanpah’s grassroots opponents tend to strongly support solar power. The group Solar Done Right advocates decentralized solar energy as an alternative to mega-solar projects like Ivanpah. They argue that there is plenty of already-paved surface where we can safely install solar panels: rooftops, vacant parking lots, and former industrial sites known as brownfields. According to the US Department of Energy, supplying all of the country’s electricity from solar photovoltaics would require 17 square miles of land in each state. Brownfields alone could provide 90 percent of the needed land! The owners of Ivanpah—Google, NRG Energy and BrightSource—took a far more destructive, centralized approach. Their installation is four times larger than New York’s Central Park. According to Reuters, it can even be seen from space! Even worse, the companies decided to build it in the Mojave Desert, a highly sensitive ecosystem and sacred land for the Coloardo River Indian Tribes. “Yes, it is good to make use of the sun but not when it comes to disturb sacred sites, pristine desert, the turtles or the horny toad,” says Alfredo Figueroa, a Chemehuevi elder and member of La Cuna de Azltán Sacred Sites Protection Circle. Figueroa argues that the historically migratory Chemehuevi people certainly have burial grounds in the sites where mega-solar projects are developing. Phil Smith, another Chemehuevi elder, says Ivanpah approaches a centuries-old Chemehuevi prayer altar. In December 2010, La Cuna sued to stop the development of Ivanpah and five other mega-solar projects in the Mojave. The Mojave is habitat for the desert tortoise, a protected species under the Endangered Species Act. The number of desert tortoises has decreased by 90% since the 1950s, according to Defenders of Wildlife. In 2011, the Bureau of Land Management estimated Ivanpah’s construction would kill as many as 700 juvenile tortoises and would disturb thousands. Liberal environmentalists say climate change is so urgent that we have no time to oppose mega-solar projects. Their single-issue approach is politically suicidal. Abolishing fossil fuels will require a coalition that includes people organized around issues like indigenous rights, wildlife loss, and corporate power. To say these issues matter in the case of Keystone XL but not in the case of Ivanpah is to invite accusations of doublethink. That is, it will invite accusations that they sometimes believe one thing and sometimes believe the exact opposite. Last November, about 90 people from across Connecticut got together to hear the engineer Mark Jacobson explain how wind, water and sunlight can meet all of the world’s energy needs. The event was inspiring enough that the Connecticut Sierra Club shortly afterwards endorsed the goal of 100% renewable energy within 17 years. It was clearly exciting to see so many people envision a world without fossil fuel energy. Still, the example of Ivanpah shows that climate activists need to clarify what kind of renewable energy they support. There is the wrong kind: the kind that sacrifices people and ecosystems while enriching corporations. Examples include Ivanpah, Transcanada’s Kibby Mountain wind farm, and HydroQuebec’s mega-dams. Then there is the right kind: the socially just kind, the ecologically sound kind. Would it be okay if we reposted this article on http://ecology.iww.org?